Nikhil Chinappa (Kalengada Bhemaiah Chinappa) was born in Bangalore on June 6, 1973. His father was in the Indian Army. He lived for a while in Secundarabad, and then the family moved to Bangalore. Nikhil Chinappa studied in St. Joseph’s Boys High School. He graduated with a degree in Architecture from B.B. Srreenivasaiah College of Engineering in Bangalore. After graduating out of college, he landed a job as a bartender in a cruise liner, which he was on the verge of accepting because he ‘wanted to see the world’ in his own words. But then, he got a job at Madras FM, which he ended up accepting. He later went on to become a popular VJ on the music channel MTV. Nikhil then met and married his wife DJ Pearl. Apart from serving as a VJ, Nikhil Chinappa has also appeared in TV shows and acted in a few movies. Nikhil Chinappa was one of the judges in the show Fame X in 2006. He hosted ‘India’s Got Talent’ on Colors channel. He was a jury member on the MTV India program, MTV Rock On. For three seasons, he was a judge in the show MTV Hero Honda Roadies. He hosted MTV Splitsvilla and is now hosting the show’s third season. 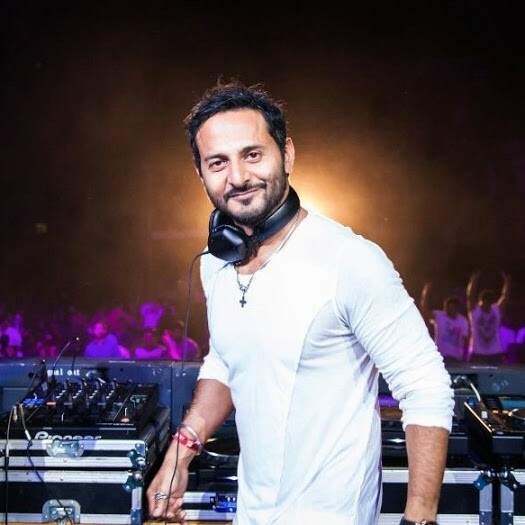 Nikhil Chinappa is now associated with the popular music festival Sunburn in Goa, as he’s the festival director.